OUR BOOK WINS Gold 2014 Global eBook Awards! The Bronze Award for eLit Awards, & USA BEST BOOK AWARD! | scholarship lighthouse -- Spreading light on the sea of knowledge! 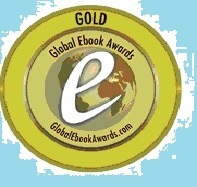 OUR BOOK WINS Gold 2014 Global eBook Awards! 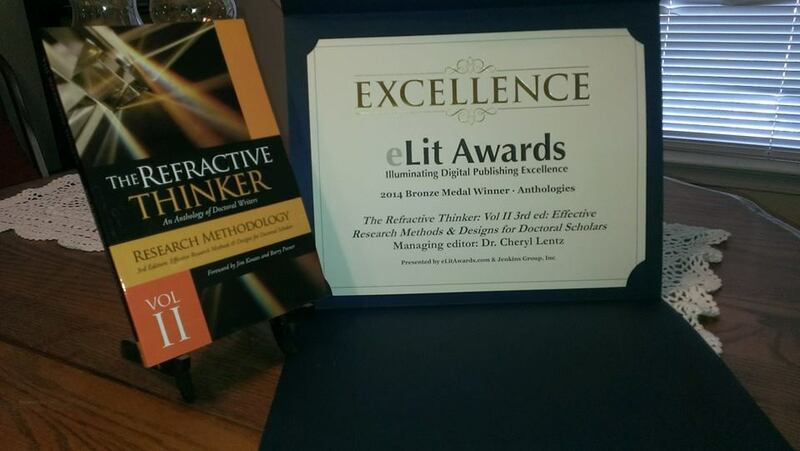 The Bronze Award for eLit Awards, & USA BEST BOOK AWARD! Our publication Refractive Thinker:Vol II: Effective Research Method & Design for Doctoral Scholars: Ch 7 Dr. Bethany Mickahail & Dr. Kate Andrews won the Gold 2014 Global eBook Award! 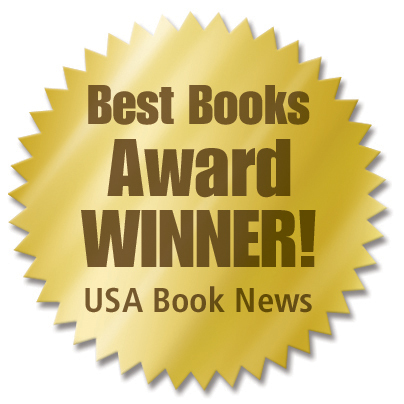 Our publication also won the 2013 USA BEST BOOK AWARD! Congrats Team PDAI! What they are saying ………. “One of the goals is to have the reader learn from those that have gone before them, to shorten the reader’s learning curve as contributions are made to the greater body of knowledge within research. These authors share their thoughts on what they did and why, and what they recommend doing different for the reader in following their path. These authors do not only ask why, they ask why not? Think Einstein. If thinking is inside the box, and critical thinking is outside the box, refractive thinking is asking the question of what lies beyond the box,” Barry Posner, Leavey School of Business, Santa Clara University and co-author of The Leadership Challenge. 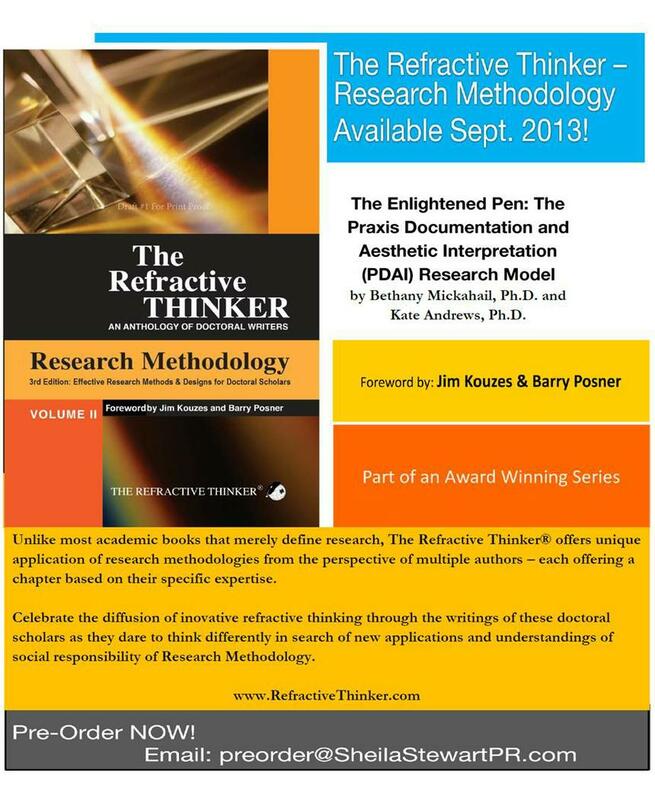 Our publication Refractive Thinker:Vol II: Effective Research Method & Design for Doctoral Scholars: Ch 7 Dr. Bethany Mickahail & Dr. Kate Andrews won the E Book Award!